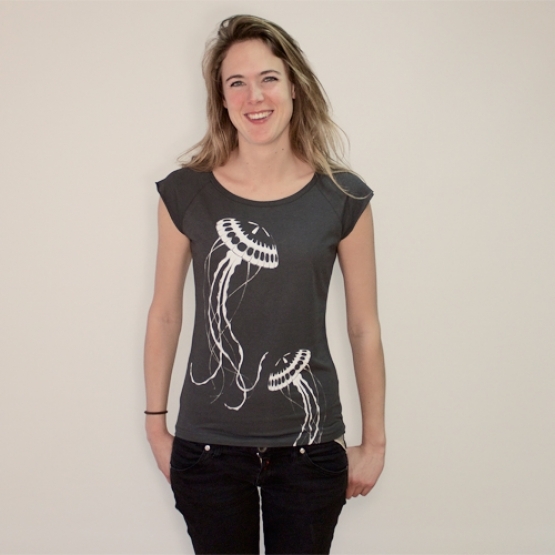 Jellyfish tee made from 70% sustainable bamboo & 30% organic cotton jersey shirt in charcoal grey. This is a raglan slim fit model. This product is grown, harvested and manufactured in Turkey with the tiniest carbon footprint possible:-) An charcoal with black printed jellyfish is also available.